Microsoft’s Surface Hub is a conference room AIO device that makes collaborating and extracting additional value from your meetings much easier. But, the price of entry is not cheap, especially if you need a large display as that price now tops $21,000. 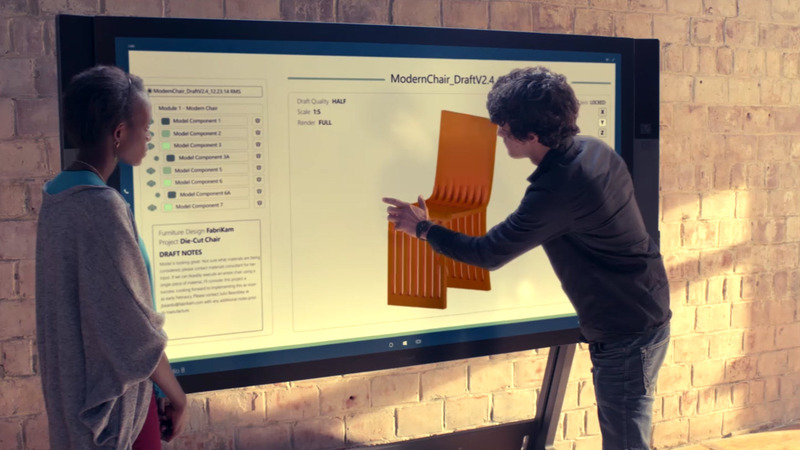 To help the 97 percent of meeting rooms that are equipped with traditional projectors and displays, Microsoft has announced project Rigel. This initiative brings a Surface Hub-like Skype experience to any conference room. Using a Windows 10 device for center-of-room touch control and Skype for Business, a conference room can quickly gain some of the capabilities Surface Hub offers for a fraction of the price. To help complete this experience, Microsoft is teaming up with several hardware partners, including Polycom and Logitech to create products that are certified with Rigel. The is new initiative will make it easier for screen sharing, whiteboarding, and of course, video conferencing features as well. Conference rooms are one of the primary areas for improvement among large companies, as we have Microsoft’s Surface Hub moving into this space, and HPE is taking a stab at reinventing the meeting area as well. Considering that most people loathe going to meetings, if a company can find a way to make these sessions more productive, take less time and make employees enjoy them once again, it will be a home-run for all involved. You can read more about Rigel on Microsoft’s official blog.